Ryedale and the surrounding areas are a fantastic place for bringing up children and there is plenty going on children. Trial Musical Theatre classes are £10 per session. Our multi-award winning classes will introduce your baby to a world of sensory exploration. Where the two of you can relax, have fun and share in each other’s delight. For ours is magical world, full of glowing balls, light shows, puppets, bubbles, rainbows, petals, massage, signing and songs. The sessions are designed specifically from birth so we’d encourage you to join as soon as you feel able. We’ve done the research; so you can enjoy the fun. Children’s centres aim to give children the best possible start in life and enable parents to support their child and family. Little Cricket is a fun NEW cricket activity class for girls and boys aged 2-4, but it’s more than just bats and balls! Cricket develops nine of the ten Fundamental Movement Skills, more than any other sport, and Little Cricket classes cover all nine. They are throwing, catching, running, jumping, batting, bowling, balance, agility and coordination. When a child is confident and competent in the Fundamental Movement Skills they can more easily develop other sport specific and complex movement skills that allow them to enjoy broader sports and physical activities as they grow. Each Little Cricket session focuses on a different Fundamental Movement Skill, using a combination of fun games and cricket activities to engage and teach the children. Each session lasts for 45 minutes and is delivered by trained coaches to ensure that every child gets the most that they can out of every class. We look forward to seeing you at a class soon! ‘Nurture’ is a new suite of enrichment classes for babies and toddlers (0-30 months) with their Parents/Carers. A range of natural and stimulating materials are used to promote infant and child curiosity, encouraging them to use their senses when exploring. A certified Montessori teacher will provide developmentally appropriate activities. Afternoon session for those who have outgrown the morning session. Not for babies. Monday 1:00 PM -2:30 PM. Swimming with Linzi is all about having fun in a safe environment, from gaining water confidence to great stroke technique. I offer baby, toddler and Pre-school lessons, 4 weeks – 4 years of age at Carr Junior School in Acomb, York on Monday, Thursday and Friday mornings. It is a small pool and warm at 31 degrees, perfect for little ones! 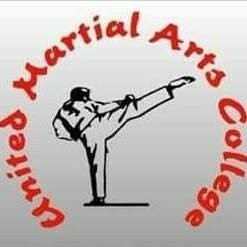 I also run classes on Monday, Tuesday and Wednesday for children 2 -10 years at Robert Wilkinson School, Strensall, York, from 3.30-6.30 pm. When children are confident enough, they can go in by themselves without their primary caregiver. This is a natural progression and one where there’s no age limit. The important thing here is, it’s when the child is ready. Classes are fun based and relaxed with only 7 children in each class. With the whole pool to ourselves, children really enjoy their lessons and thrive learning to swim. I get to know all the children individually and adapt my teaching accordingly. There is only 1 class running at a time so little distraction from other swimmers. With over 10 years teaching experience, including my own 3 children, I am fully qualified STA Swimming Instructor, STA baby and pre-school teacher, RLSS lifesaving and recently completed Level 3 Diploma in Aquatic Teaching for Baby and Pre-school. Do check out my recommendations on Facebook! Our award-winning toddler development classes will introduce your child to a galaxy of magical worlds. Each week has a unique theme, meticulously constructed to stimulate your child’s brain, co-ordination and physical development. Imagine zooming through space, partying like pirates, diving through a magical sea. Or would you like to climb a snow mountain, boogie under disco lights, hunt for dinosaurs or tame a fiery dragon? A programme that has been going for over 37 years! Tumble Tots and Gym Bobs sessions use unique equipment and are run by staff specially trained to get the best out of your child, structured according to the different ages/stages of a child’s development. Sessions include climbing, balancing, agility and coordination as well as song time for language development. Child psychologists/educators agree that a structured programme in movement should be part of every child’s education. Enjoy quality time with your child teaching them ‘skills for life’. At UMAC we provide a safe structured environment for your child to learn and develop. For 18 months to 4 years. Tea and coffee will be available. £4 a session. Booking essential. Baby swimming with Water Babies is an exciting, enriching experience for both you and your little one. 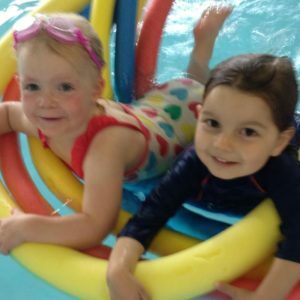 As the UK’s leading swim school, not only do we teach vital lifesaving skills but we always incorporate lots of bonding, fun and socialising, so you can be sure that a Water Baby is a happy one! Our number one priority is to make sure you feel both happy and safe in the water. Contact 01904 607110 or littlefish@waterbabies.co.uk for more information. 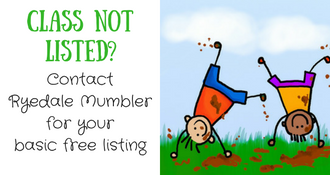 For any Mumblers that book onto a course, just quote RYEDALE MUMBLER and we will send them a free Splashabout Happy Nappy (required for the lessons) with their starter pack – worth £10.99. Join us for a fun and engaging weekly art club session, which gives young people the change to get involved with a wide range of arts and craft activities. Our sessions run term time on a Thursday from 4-5.15pm which are for young people aged 5-18 and on a Saturday there are two sessions for different age groups. Saturday from 10-11.15am is for young people aged 5-10. Saturday from 11.30am-12.45pm is for young people aged 11-18. Babies can start at Baby Swimmers as soon as you and baby are ready and happy to do so. Swimmers Academy run classes for children whatever their age and ability from beginners at 4 years old. 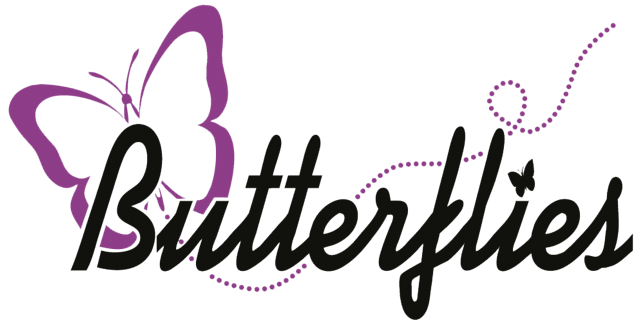 We offer classes in Street, Gymnastics, Tap, Acro, Modern Jazz, Freestyle Jazz, Ballet (both RAD and IDTA), Musical Theatre, Contemporary, Drama, Speech & Drama, Private Singing lessons, Zumba and Pilates, toddler dance (Mini Movers) and toddler Gymnastic’s (Gym Beans). Energi Toddlers is the ultimate place in York to bring your 2 – 5 year olds. With dozens of interconnecting trampolines, foam blocks, Disney soundtrack and our super friendly staff, your little one will be grinning ear to ear. Best of all, we let you jump for free, so the fun’s not limited to your little ones! Energi Toddler runs every weekday at 10am and Saturdays at 9am. Our huge café is the perfect place to refuel after your session with our freshly brewed coffee, Ringtons tea and delicious homemade cakes and sandwiches. Sessions cost £4.95 per toddler and adults get to jump free of charge, so what are you waiting for?! A mini gymnastics which gets toddlers rolling, jumping and turning. Stay and play session on a Thursday afternoon, term time 1.15 until 2.45pm. Includes snack and a cup of tea/coffee for mum. 1.30pm – 3pm Thursday (term time only). £1.50 includes cuppa, cake and snack for little one. Also incorporates Breast Friends Malton peer support drop in for all things breastfeeding. MY BABY CAN DANCE is an award winning movement to music pre school activity class which follows the development stages for the little ones. Ideally birth to 4 years old. For children with additional needs there is no upper age limit. School term time paid in set blocks of 5. Baby yoga, massage, songs and a snack! In addition, Jade will do blocks of sessions in a clients home if there is a group of 4+. The host then only pays half price. Our pre-school classes are devised especially for boys and girls aged 3 – 4 years. The emphasis is on the development of co-ordination, discovery of mime and musicality, and group participation. FUN, EDUCATIONAL & AWARD-WINNING Baby & Toddler music classes in and around York. Our specially created music-based activities will stimulate all their senses AND help develop their COMMUNICATION, SPEECH, CONFIDENCE, LITERACY, LISTENING SKILLS, PHYSICAL DEVELOPMENT and SOCIAL SKILLS – all whilst having fun to music! Friday morning @ St Aelreds Community Centre, Tang Hall. A warm welcome awaits all parents, grandparents and carers with babies, toddlers and preschool children. The room is laid out attractively with art and craft activities, small climbing toys, water play and a baby area. Staff are on hand to chat with you, make you a cup of tea and introduce you to other parents. We have snack time, where we share a plate of healthy snacks and end the session with singing circle. The health visitor attends on the first Thursday of every month. No need to book an appointment with her just turn up at the hall and you will be able to drop in and see her with your child. We charge £3.50 per family (£2.00 if you only have a baby) to cover the cost of the hall hire, but no charge is made if you would struggle to pay this. Tea/coffee and biscuits are provided. We hope to see you there and get to know both you and your child. for babies 8 Weeks old up to toddlers 4 years old. Playtime fun, bible stories, cheerful songs and its all free! Including a drink and a snack.